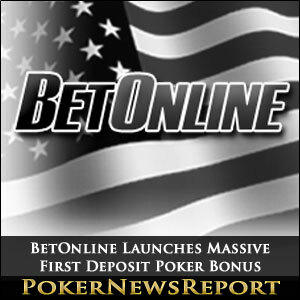 BetOnline – the major skin on the US friendly Chico Poker Network – has announced it is to offer new players a massive 200% first deposit poker bonus. BetOnline has indicated that it wants to become a serious player among the online poker sites that accept players from the US with the launch of a 200% match bonus on first deposits of up to $2,500 (bonus up to $5,000). Having previously only offered “PromoBucks” to online poker players – despite providing sports bettors on the site with a lifetime 25% bonus on all deposits – BetOnline has now seen the light and acknowledged that it has to offer a dedicated poker bonus to attract more players to the site. 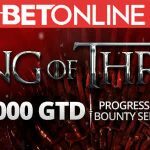 The structure of the bonus, and the way it will be released into players´ accounts, follows the Bodog/Bovada “progressive” format; in which the BetOnline poker bonus will be released at ever increasing milestones – enabling most players to collect some of the bonus, but requiring a considerable effort at the tables for the full amount of the BetOnline first deposit poker bonus to be cleared. Fortunately, in addition to matching the biggest first deposit poker bonus in the industry, BetOnline is also matching the longest time players have to clear the first deposit poker bonus. For online poker players unfamiliar with the “progressive” poker bonus format, BetOnline releases the first deposit poker bonus over five stages as “Player Option Points (POPs)” are collected by contributing to the rake deducted from cash games tables or by paying an entry fee to play in a BetOnline poker tournament (One POP Point is awarded for each $0.10). The first 5% of the BetOnline bonus is released when players have paid 25% of the deposit amount in rake or tournament entry fees. For example, if a player deposits $1,000 (and their bonus amount is $2,000), they will receive a bonus of $100.00 when they have paid $250.00 in rake or tournament entry fees and collected 2,500 POP Points. 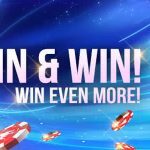 The second stage of the first deposit poker bonus occurs when players have paid 75% of the deposit amount in rake or fees, when a further 10% of the bonus amount will be released. Using the example above, a player would have to collect an additional 5,000 POP Points after the first increment of their bonus has been paid in order to receive the to receive $200.00 of his or her pending new player bonus. 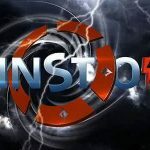 Further milestones are reached when a player has paid 175% of the deposited amount in rake or fees (releases a further 25% of the BetOnline poker bonus), 330% of the first deposit (releases 25% more of the pending bonus) and 580% of the initial deposit (releases the final 35% of the BetOnline bonus). Players have 120 days to clear as many of the milestones as possible from the date of their first deposit. BetOnline Poker hosts several “POP Freerolls” during the day (which are not actually free as they cost 1 POP Point to enter) and which award 2,000 POP Points in prizes. These can be very lucrative events for experienced players with low bankrolls, as the standard of competition in these events is not particularly high. 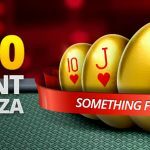 However, it should be noted that if a player spends POP Points (for example to enter the weekly $500.00 “POP2Cash” tournament), these points will be deducted from a player´s balance and not count towards clearing the BetOnline first deposit poker bonus.